Having taken her first victory in an international UCI-ranked pro race recently, Lydia Boylan has taken another great result. This time the Dubliner and national road champion put in a podium ride in the Lincoln GP in the UK. Boylan was 3rd in the race, one of the hardest in Britain, just six seconds off victory. What remained of the main field reached the bottom of the Michelgate climb intact on the last lap. 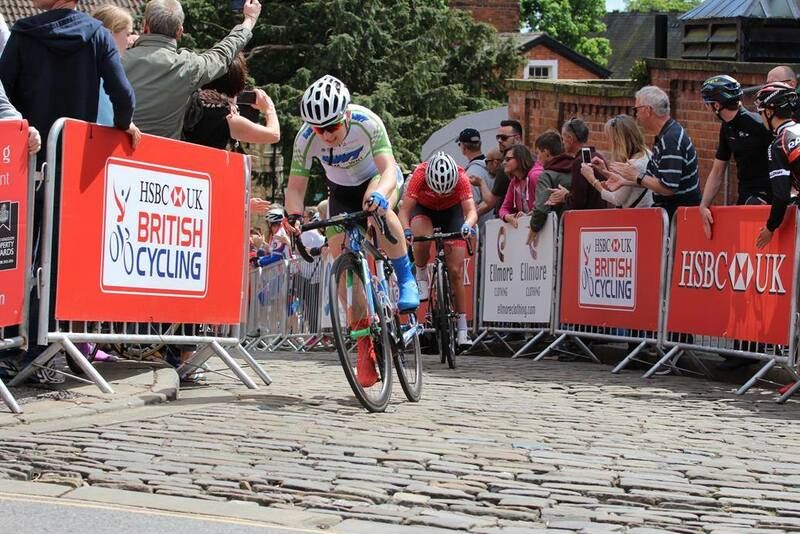 Alice Barnes (Drops) led the way up the cobbled climb to the finish and took victory. She came home just ahead of Emily Nelson (Team Breeze), with Boylan next in 3rd place. It was a terrific ride for the Team WNT rider who is proving she is one of the very best elite women now racing on the UK circuit. The Lincoln GP was round 3 of British Cycling’s National Women’s Series; a year-long classic league. In March Boylan took victory in the Setmana Ciclista Valenciana, a UCI 2.2 ranked race, in Spain. Since then she has ridden very well in the Matrix Fitness Grand Prix Series in the UK. She was 6th in the opening round in Redditch, Worcestershire. She was 10th in Stoke-on-Trent, last week, and 8th in round three in Northwich, Cheshire; also last week. As well as Boylan riding the Lincoln GP at the weekend, Louise Moriarty (Les Filles Queen of the Mountai) was 43rd, some 46 seconds behind in the winner.